Big retailers like Walmart and Best Buy are not the only ones with great product offers for this year's Black Friday sale. Even the leading tech firms and carriers in the United States are also initiating moves for this big day for shoppers. Verizon is among them. Reports from CNET said Verizon is already starting the countdown for its Connection Day set for 11.26.14, a day before Thanksgiving Day and two days before Black Friday. It's a set det when Verizon customers can avail of great free gifts from the carrier for this holiday season, including digital giveaways like audiobooks, music and apps from Pandora, Amazon and more. CNET has also reported about some special holiday sales Verizon planned for its subscribers and that certain gifts are to be given away to customers two days before Black Friday begins. Verizon's special Connection Day is aimed at offering customers more ways to stay connected with friends and family, plus free entertainment while they travel back home for the holiday. That being said, Verizon customers will be given mobile access to TV shows and movies on the Verizon FIOS app, two book downloads from Audible.com, and 10 free apps from Amazon AppStore. Existing members will also get a change to get a $10 credit, digital edition downloads of 17 Conde Nast publications, a 30-minute Wi-Fi session at airports via Boingo Wireless and in-flight Wi-Fi on JetBlue between Noveber 26 and December 24, plus a 7-day trial of Pandora One. These so-called gifts or freebies are largely short-term promotions that come through partnerships with several companies but represent Verizon's large effort to catch attention during the critical holiday shopping season. 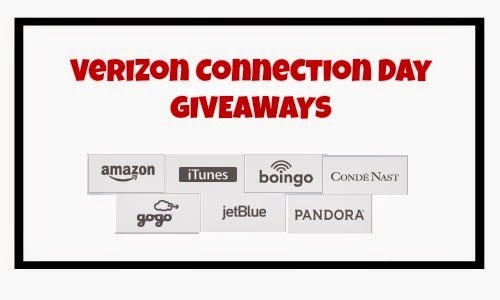 Verizon customers are required to sign up to receive these gifts at Verizon's Connection Day website -- wherein more information about this special day is posted.